Students often head to office hours for extra help with classes — but they aren’t just held by professors and teaching assistants. The new vice chancellor for student affairs — a position designed to strengthen the student experience — offers office hours, too. 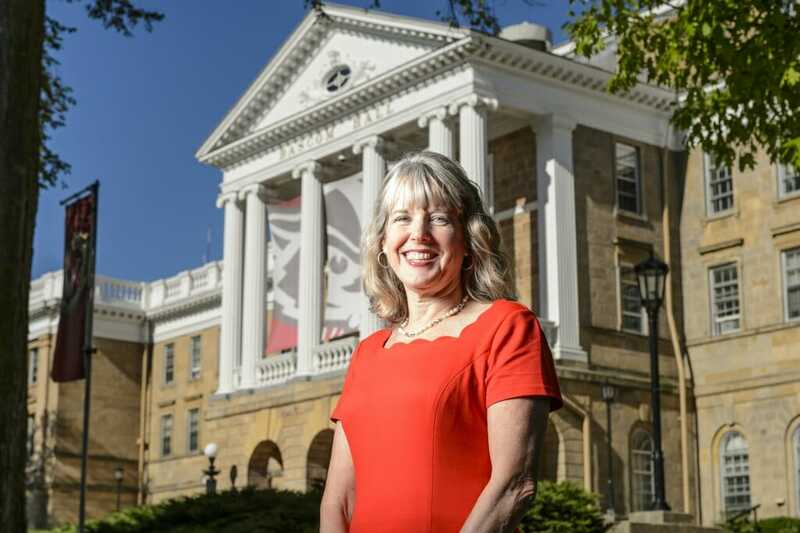 The Division of Student Affairs is led by Vice Chancellor Lori Reesor, who oversees widely-used student services — the Division of Student Life, the Wisconsin Union, University Health Services and Recreational Sports. In an effort to expand communication on campus, Dr. Reesor opens her door to students almost every week, and she says it’s a great way to make connections. She encourages students to come and chat with her — and if you’re still looking for some more inspiration, here are five things you can do when you pop into Dr. Reesor’s office hours. According to Dr. Reesor, just stopping by to say ‘hello’ is one way to utilize her office hours! She says getting to know students on a personal level is one of the goals of her office hours. Tell her about the classes you’re taking, what you hope to do after graduation or even just how your week is going! As vice chancellor, Dr. Reesor is an expert on all things student affairs and UW–Madison. Curious about something happening on campus? She’ll most likely have some answers for you. Not sure where to turn for support on a particular issue? Office hours can help point you in the right direction. You can ask for advice about college, leadership, or tips for success — don’t be afraid to reach out when you need help. Sharing your ideas is one way you can contribute to the campus community. Dr. Reesor says she’s always looking for ideas on how to strengthen the Wisconsin Experience and continue making UW–Madison a welcoming place for all students. Sometimes you just need a break from classes or something sweet to indulge in. Dr. Reesor’s office hours are not only a place to connect, but they’re also an opportunity to enjoy some friendly competition and eat a Reese’s Peanut Butter Cup! Kevin was my very first student to come to my office hours at UW! Enjoyed hearing your story! Have a great year!